It’s been a busy day here at Joyce Towers involving sorting, chucking, cleaning and a trip to the tip. Most satisfying, but we have a lot more to do. Excellent news about Mouse, too! As I write, I have three cats sitting on my lap. Mouse is sandwiched between Milka and Percy and they’re all contentedly asleep. I’ll know she’s totally settled when I spot them washing each other. Nearly sorted. I couldn’t get all three in one picture, so you’ll have to be happy with Percy draped over Mouse. Milka and Percy have finally realised that Mouse is here. 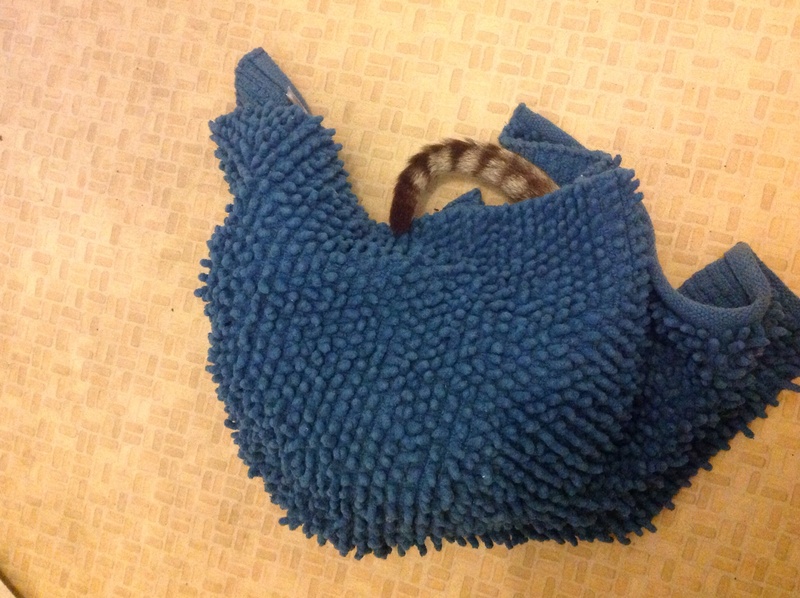 They spotted her under a coffee table this morning and the hissing, growling and bottle-brush tails began. Isobel and Ted have supervised all day, to make sure things didn’t get past grumpy, but it’s been fine. 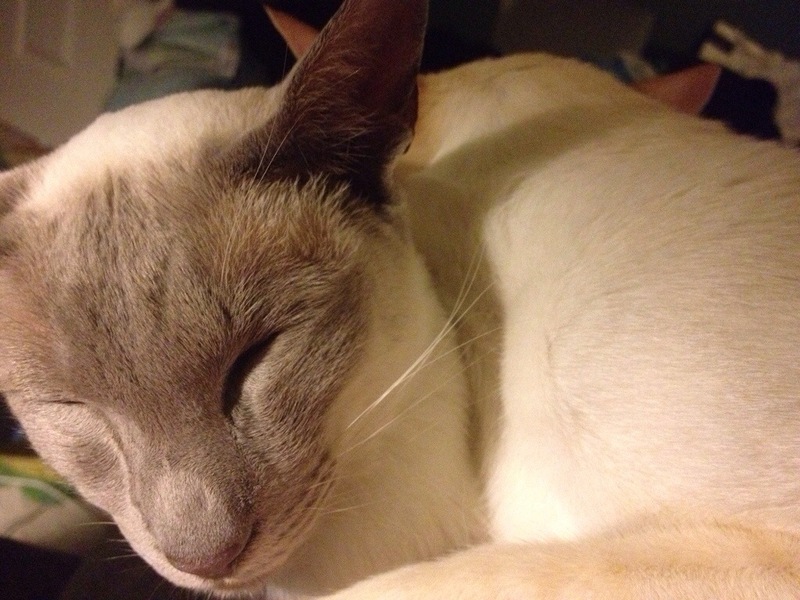 Mouse continues to enjoy human company and has spent at least 2 1/2 hours sitting on laps. She’s currently sitting on the back of Isobel’s chair, on the alert for approaching felines. 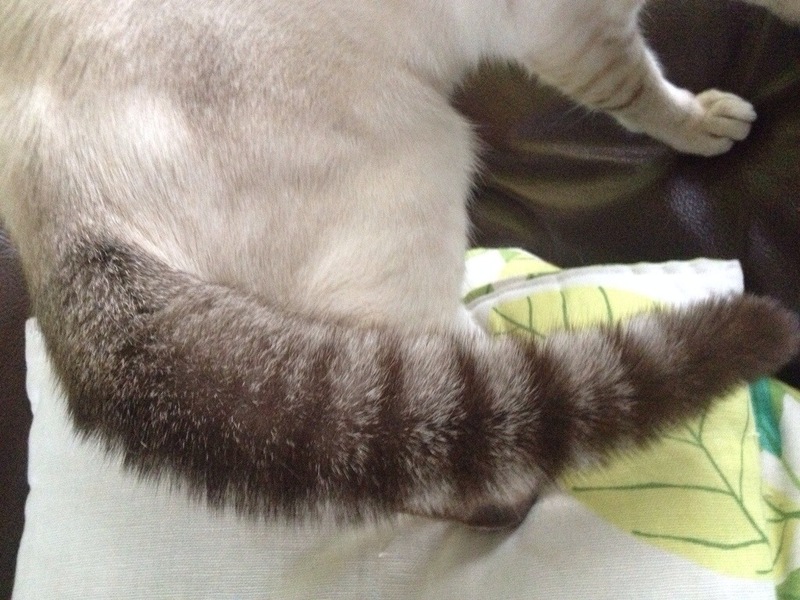 The two photographs show Milka’s magnificent tail when he was over-excited this morning. 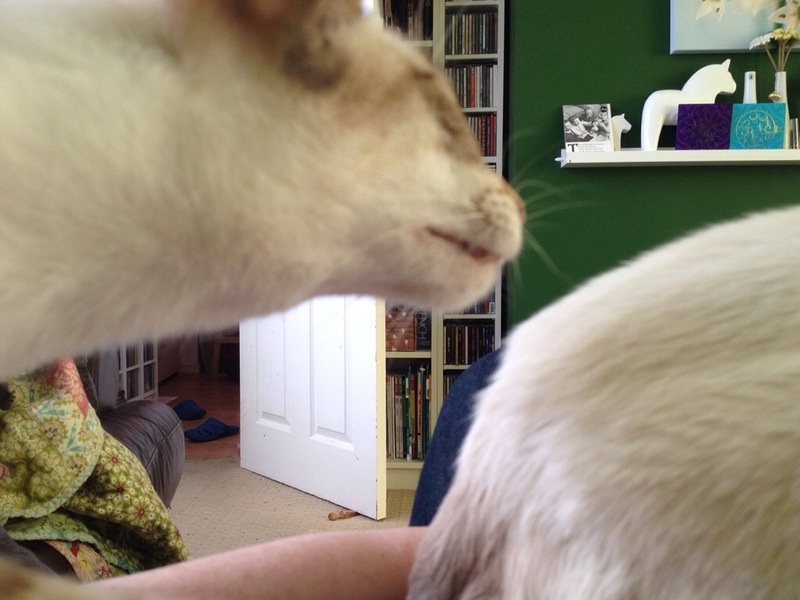 The other is from this afternoon and shows him sneaking up behind Mouse on my lap, so he could have a surreptitious sniff. 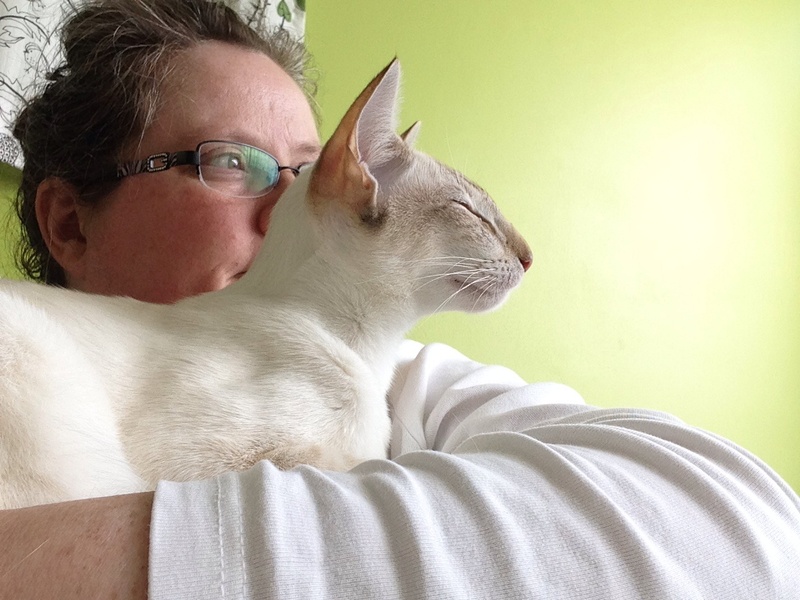 Milka is not as fond of cuddles as he was when he was a kitten, so it’s a treat when he comes to sit on me. We’re worried about all four of the cats at the moment, because they are not very well. They are coughing/sneezing (sometimes it’s hard to distinguish one from the other in cats), they’re bleary-eyed and are not eating as enthusiastically as usual. Percy is the worst; since this afternoon, his nose seems blocked and he’s breathing through his mouth. Furthermore, I’m worried they’re feverish, because they all feel warmer than normal. I will ring the vet first thing in the morning and make appointments. Percy and Milka are top of the list, then Florence and Willow, who don’t seem as bad. 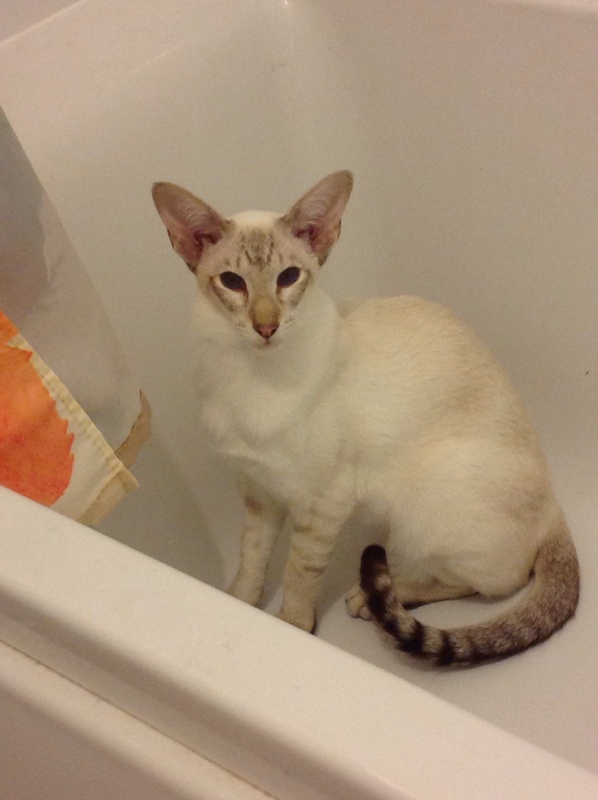 Milka fancied a shower this morning, but I wouldn’t turn the tap for him. 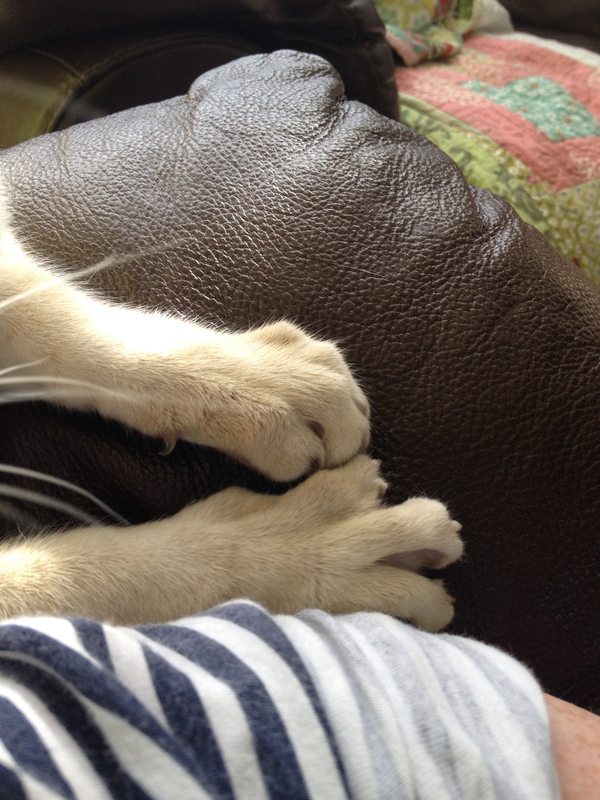 I regularly go for a nap on Sunday afternoons, which makes me a cat magnet. This was the view when I woke up one afternoon a couple of weeks ago. Milka likes to hide under things. 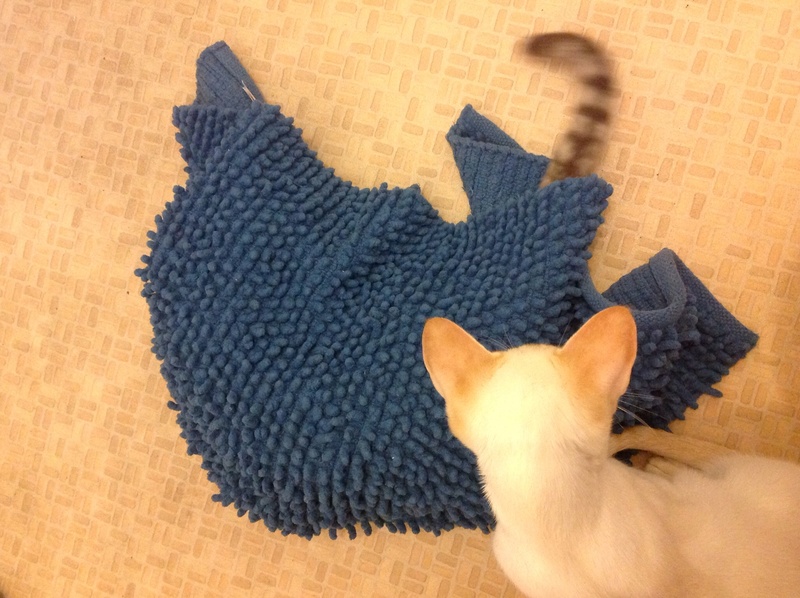 This morning, it was the bath mat. If you’re a UK teacher and I simply say that I have been ‘meeting minimum expectations’, you might understand why A Cat A Day has been dormant since early this school year. If you aren’t, it would be very boring if I explained and you would probably think I was an overpaid, lazy, know-nothing, holiday-guzzling, self-deluding moaner, who can’t do anything, so teaches instead. 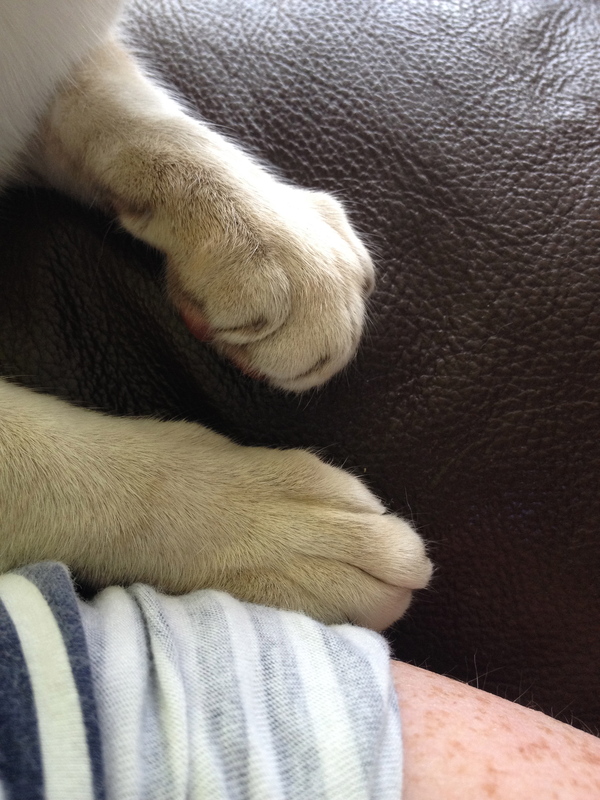 No matter, my pointless cat blog is active again and starting with a group of photographs of Milka massaging the sofa with his toes. Like other cats, Milka does this when he is content and I think it’s something to do with kitten memories of feeding from his mum and massaging her tummy. 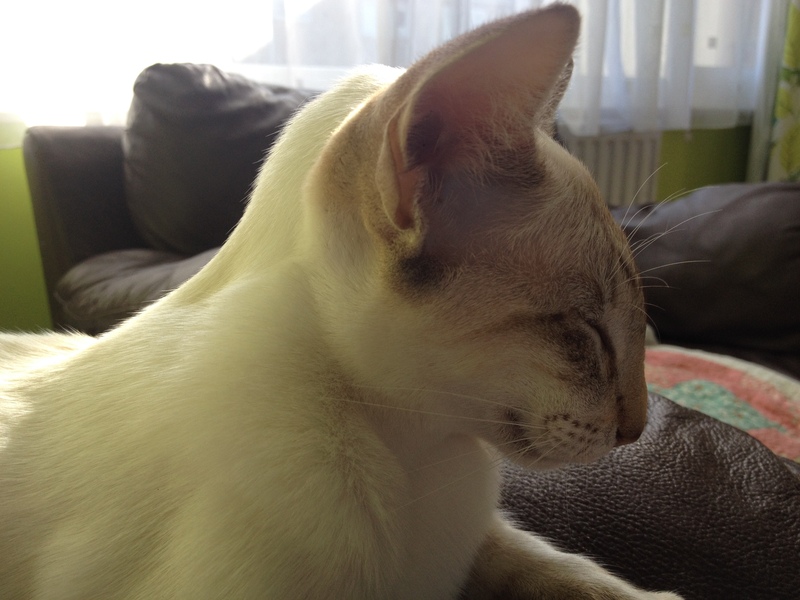 Cat lover, attempting to manage a jumbled family of Siamese. When I have the time and energy, I like making things.